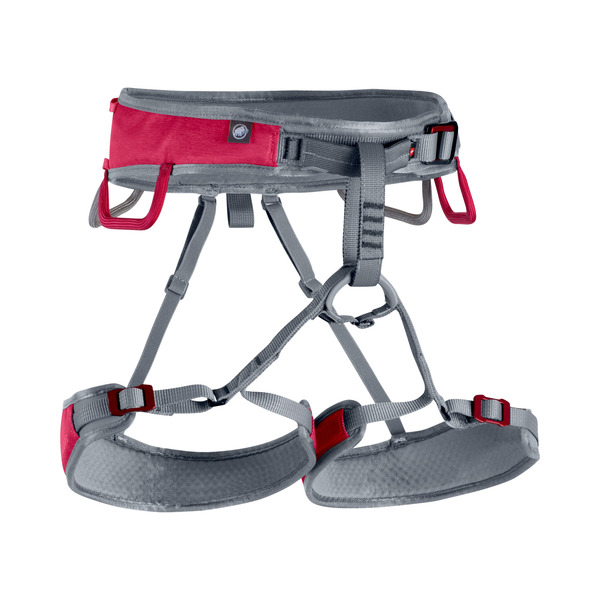 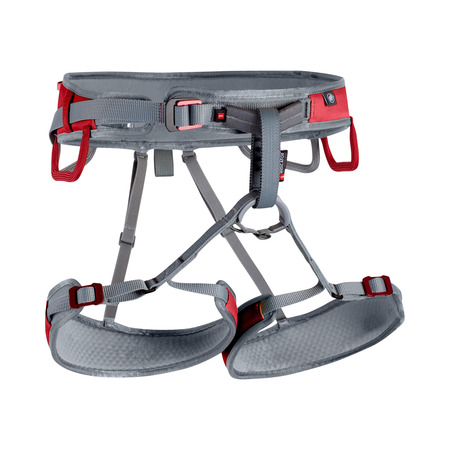 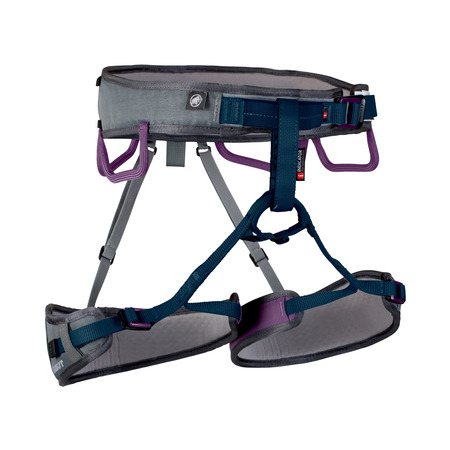 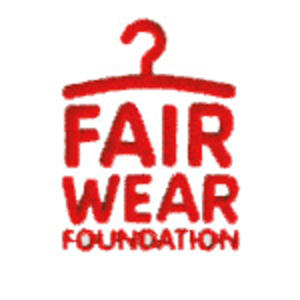 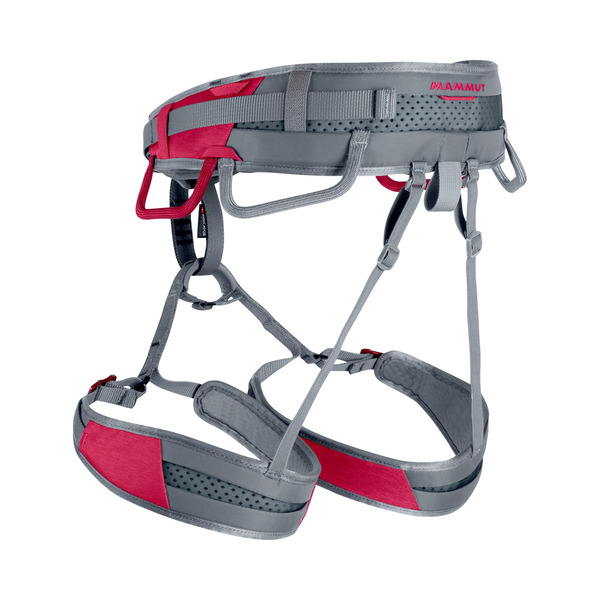 The new Speedfit adjustment system allows you to adjust the width of the leg loops within seconds: simply slide the Speedfit buckle along the load-bearing webbing until the harness fits perfectly. 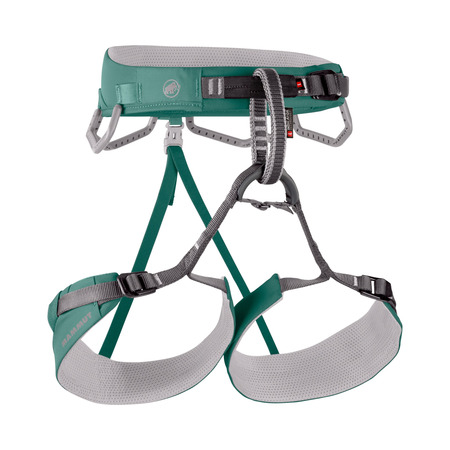 This novel adjustment system solves the tiresome problem of ends of webbing that stick out and get in the way. 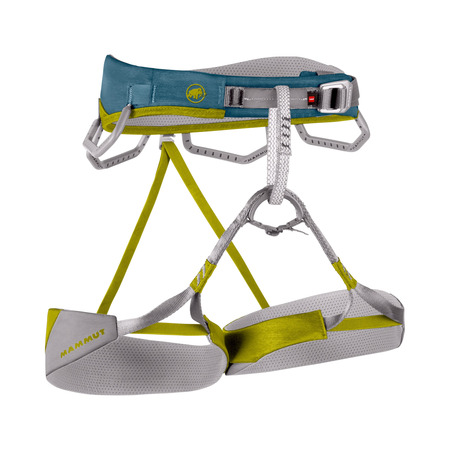 Thanks to the Mammut® two-part webbing technology and geometry specifically tailored to the female anatomy, the Ophir Speedfit Women also offers optimal comfort, extremely high breathability and maximum freedom of movement for climbing in the gym, out on the rocks or in alpine terrain.